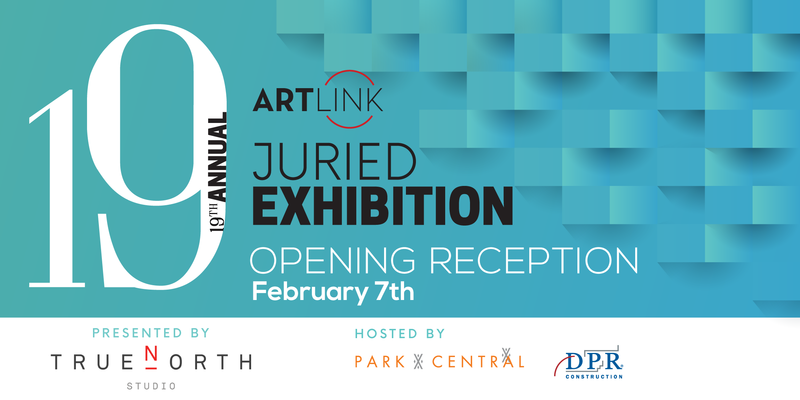 You are invited to attend the opening of the 19th Annual Juried Exhibition, presented by True North Studio, featuring thirty exceptional works by Arizona artists. The exhibition is hosted by Park Central and DPR Construction, and will take place at the newly renovated Park Central from February 7 – 9, 2019. Join us at the Opening Reception on Thursday, Feb 7, 6-9 p.m. There will be a no-host bar and light hors d’oeuvres. To attend this exciting event, RSVP HERE. Three winners, selected by the jurors, will receive cash awards, including a first place acquisition prize funded by True North Studio. The 2019 Jurors are Lisa Sette, Gennaro Garcia, and Jennifer McCabe. For more information on each of our esteemed jurors, click: here. For the production of an exhibition catalog featuring all participating artists, Artlink is pleased to announce a new partnership with ON Media, publishers of arts programs for leading arts organizations around the state.